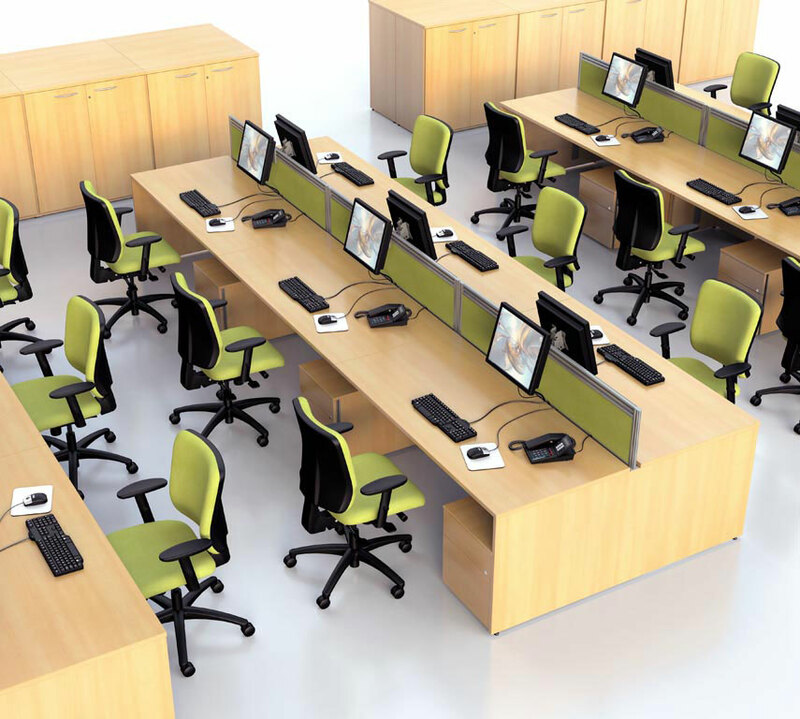 Choosing the right call centre desks is one of the most important decisions you will make when fitting out your call centre. At The Designer Office all of our call centre desks are carefully selected to fit the criteria of our customers and we will work closely with you to ensure that you get all the advice you need to make the right choice. As one of the leading suppliers of call centre desks in the UK, we can offer a wide range of solutions from contemporary bench desks to traditional circular pods. 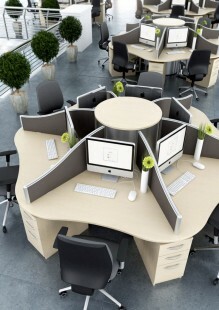 Circular pods or call centre pods as they are often called are a group of desks that are put together to make one pod. This makes them ideal for call centres and telesales operations because it helps to keep people in teams and makes management easier. We have circular pods that are available for 4 people, 6 people and 8 people and they come with 3 leg options, supporting tubular legs, supporting open CPU units to house towers and 3 drawer narrow pedestals which are lockable and give you a storage and filing facility. 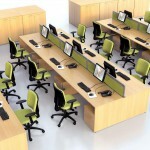 Everything has been thought of to make your call centre pods an effective workstation. This includes curved diving screens to provide separation from colleagues so that they don’t disturb each other and integrated central power management so that all cabling is handled smartly. Call centre pods are a traditional way of kitting out a call centre operation but a more contemporary option that is often used is a bench desking solution. 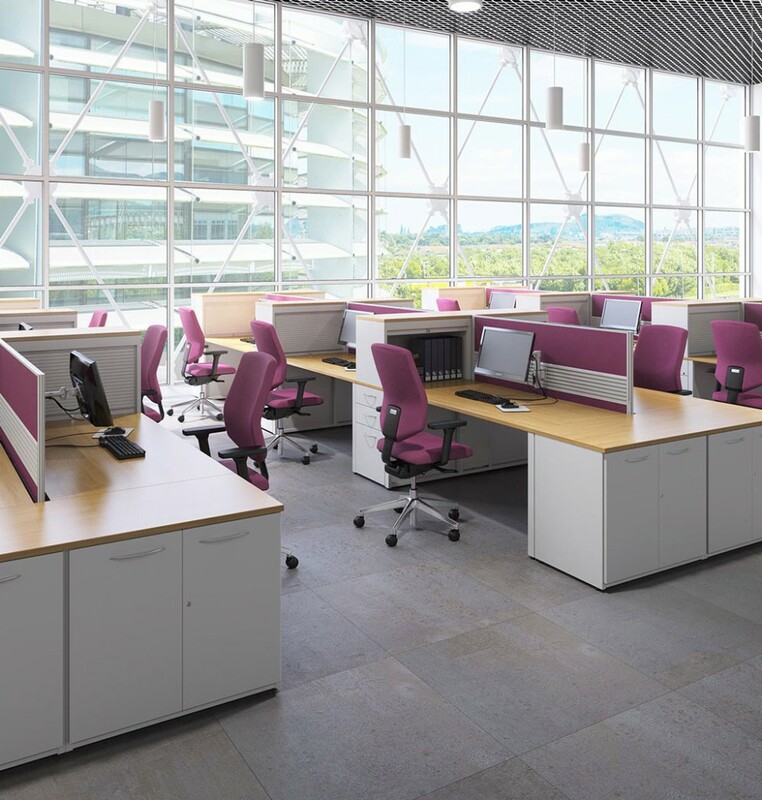 Bench desks can give you a cleaner, more modern feel to your office environment and they can give you more flexibility if you are trying to save space and increase the footprint of your office. At The Designer Office we can offer you freestanding straight or bench desks or linked or modular bench desks. There are benefits to both. Freestanding call centre desks can be butted up together to give the appearance of a call centre rectangular pod of desks and help you to seat more people. Each desk is freestanding so it gives you the flexibility to move the desks around the office and create the environment that you need. 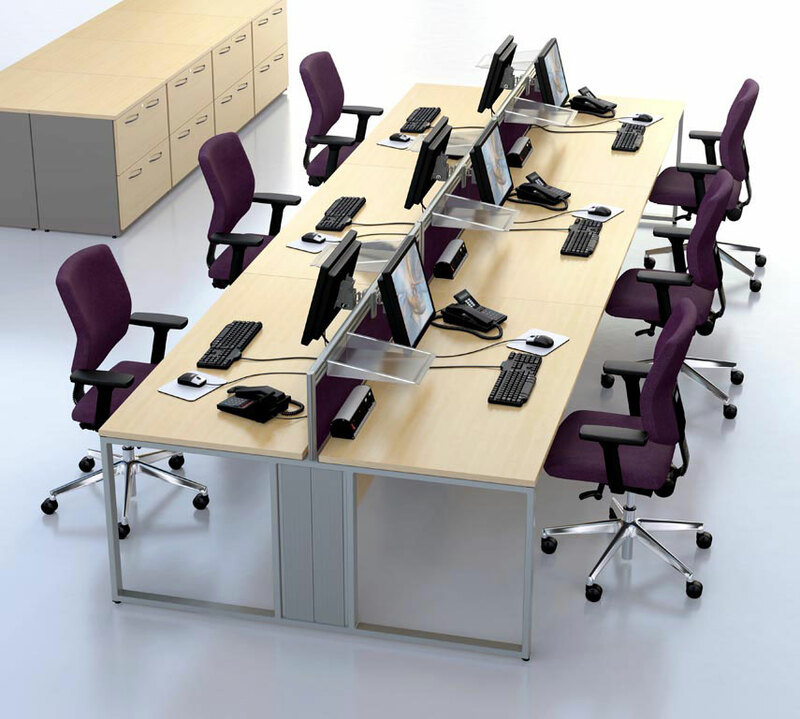 Smart cable management is available for the desks and they are fitted individually to the underneath of each desk. There is also the option for a dividing screen which clamps to the back of each desk top. A modular bench desk solution offers a sturdy and permanent structure with the flexibility of being able to add and remove desks at either end. The cable management on a modular call centre desk is also integrated within the framework of the pods and this helps to link all the desks together. There is also the option for central cable risers and this gives you flexible cabling solutions to feed power and data from a wall or from floor boxes into each separate pod. 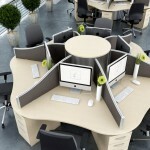 Choosing the right call centre desk gives you the ability to effectively use the office space that you have available. 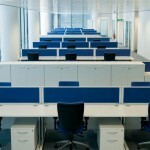 If you need a large number of staff within an area then call centre desks is the perfect solution. As more and more offices go paperless and clean desk policies are introduced, the need for desk surface space is significantly reduced. 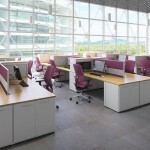 This means that slimmer office desks can be used which can accommodate more people within the same overall office space. 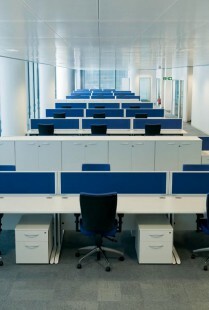 With companies selling more online, the need for call centre operations and call centre desks is on the increase. 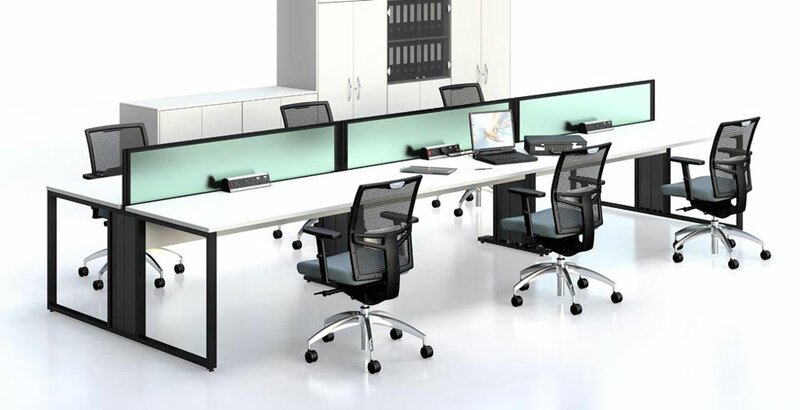 At The Designer Office we are leading suppliers of call centre desks so if you need any advice about fitting out your new call centre or telesales operation then please do not hesitate to get in touch.